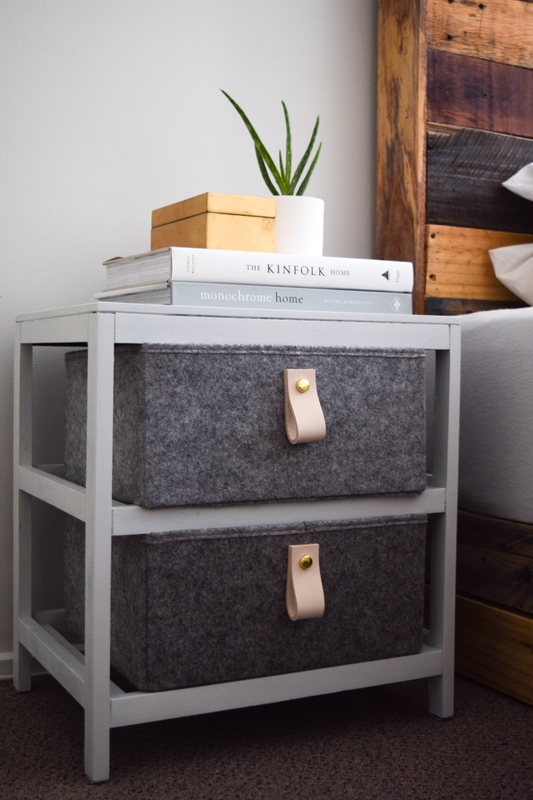 We received so many comments about the bedside table in Bonnie’s bedroom makeover last month! It was actually an inexpensive side table from Kmart that was just too dark and heavy for her new light and airy room so we gave it a makeover too! 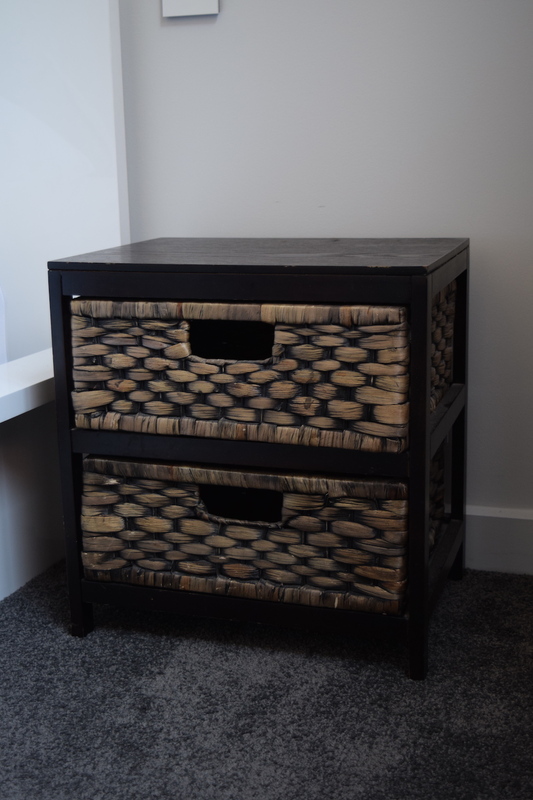 If you have an older piece of furniture that doesn’t suit your home interior any more, perhaps you’ll consider using a similar upcycle method rather than disposing of it or donating it? 1. Remove wicker baskets and wash the table down with sugar soap to remove any debris. 2. 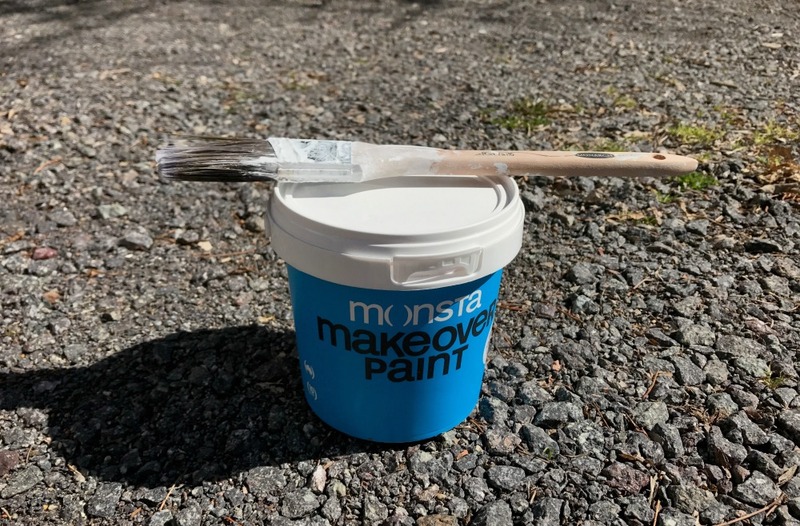 Apply a coat of Monsta prep coat to prepare the surface for painting. Allow to dry for 3 hours or until it’s no longer tacky to touch. 3. 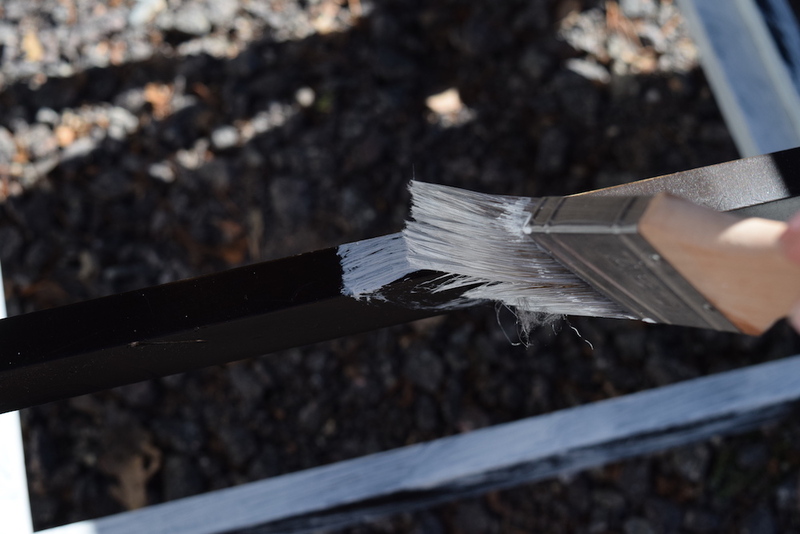 Apply two coats of Monsta ‘Grey white’ paint, allowing it to dry well in between coats. 4. 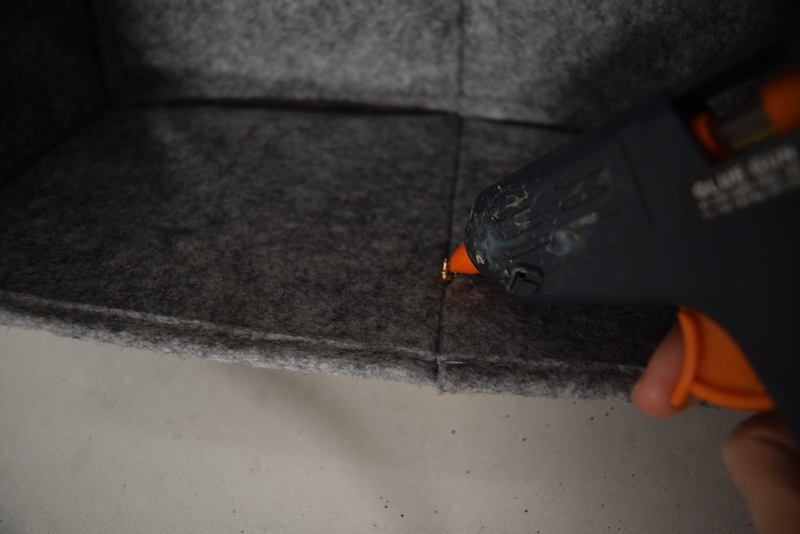 Meanwhile, make your new felt drawers by removing any existing handles that may be on the drawers. 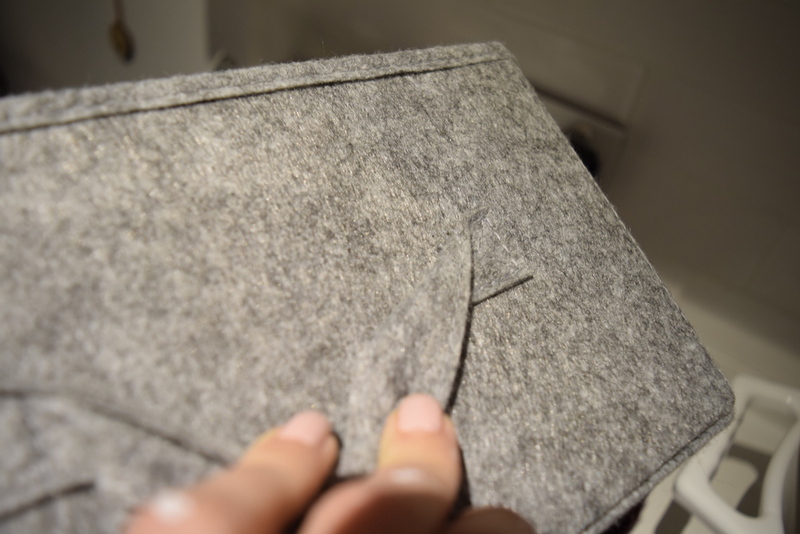 Ours had a felt strap and we simply unpicked the stitching. 5. 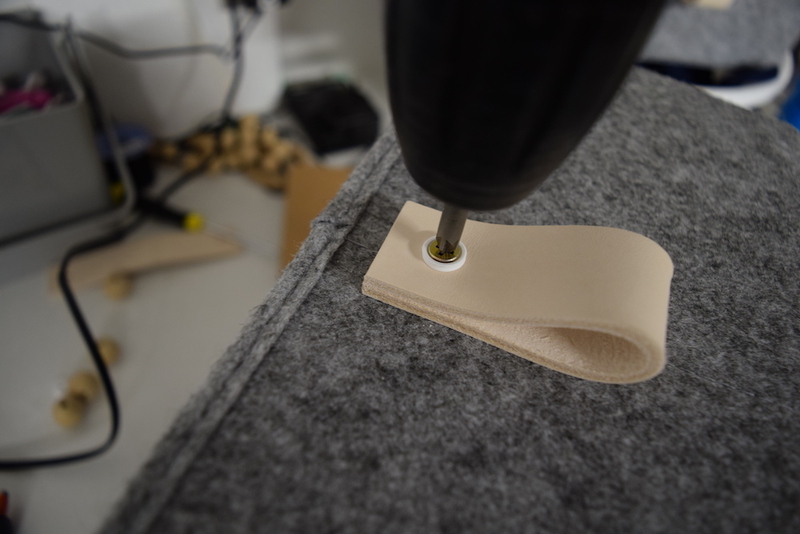 Then drill the leather handle and bracket through the face of the felt drawer at the desired height. The gold cap will just pop on to that bracket. 6. 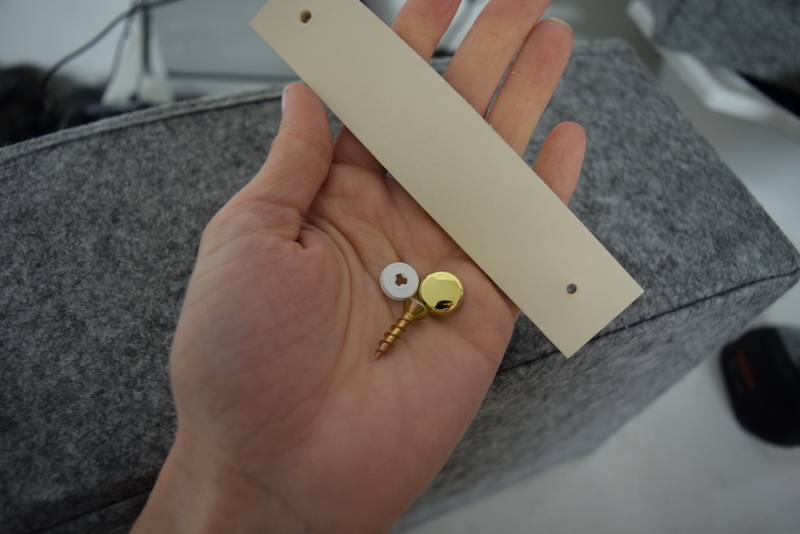 As these handles are intended for drilling into timber, we needed to find a way to secure the screw on the inside. 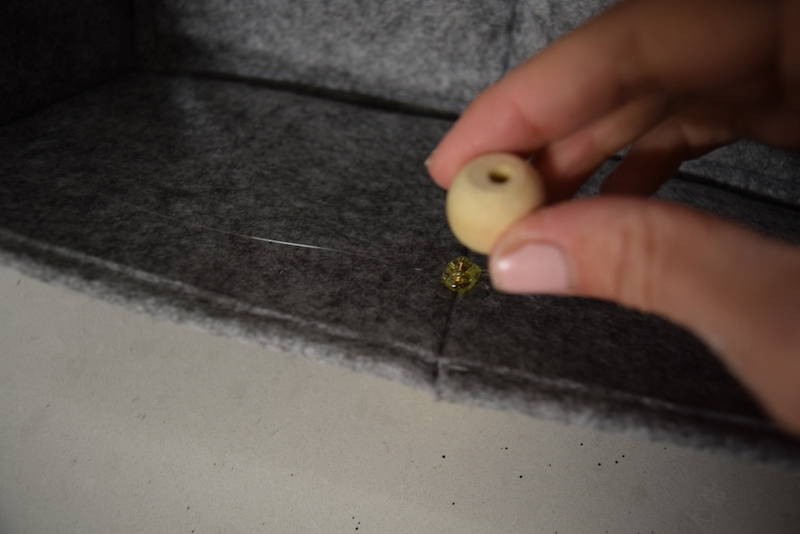 We did this by gluing a large timber bead over the end of the screw (you may find a better solution but this worked for us). 7. 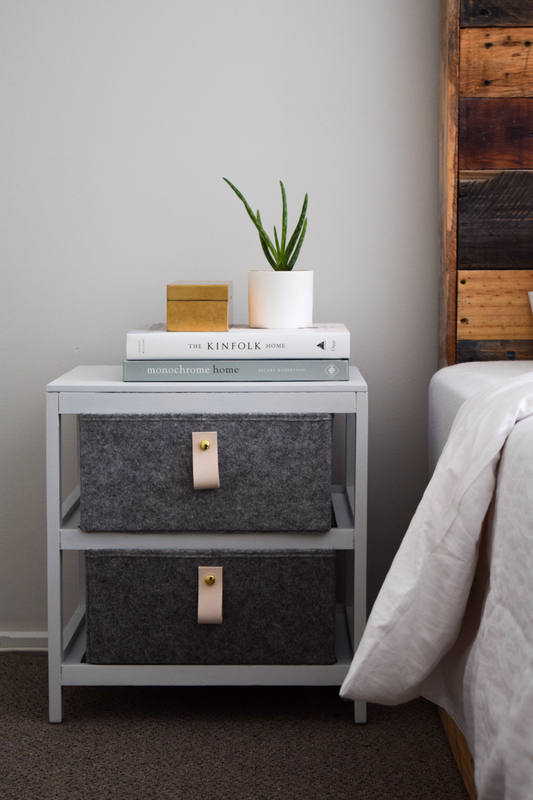 Put your new drawers into the table and your side table is complete! – Remember good prep is important so don’t rush the washing and prep coat stages. 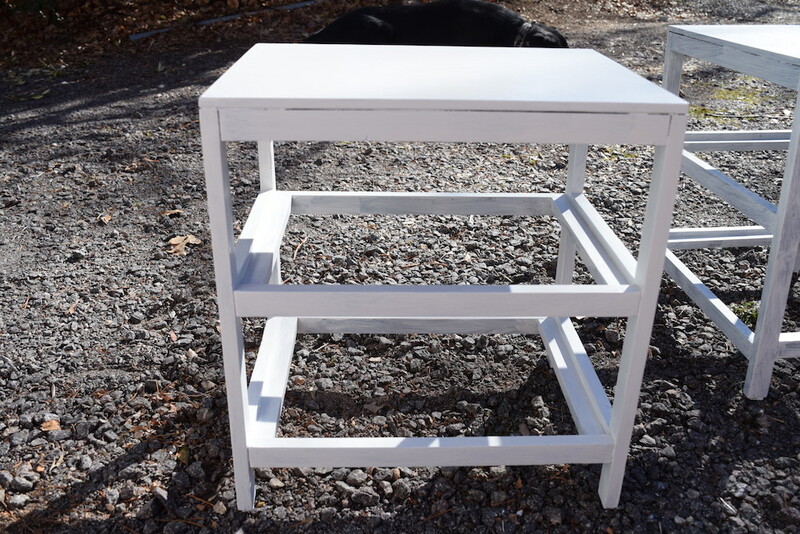 – Allow the side table to dry for at least 24 hours before use so the paint can dry well to avoid chipping. – You can paint the wicker baskets using Monsta paint too and repurpose these for elsewhere in your home – we plan on using them in open shelving areas of Bonnie’s new kitchen soon. 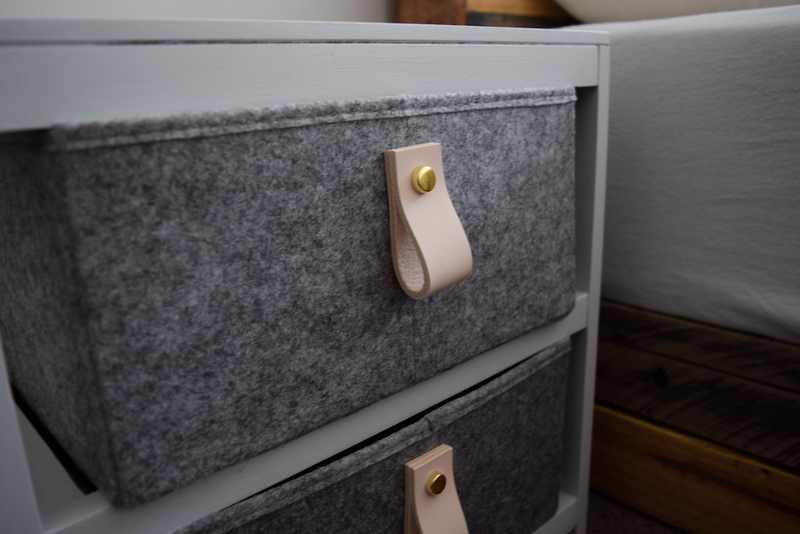 Have we inspired you to give an old piece of furniture a Scandi style makeover with lighter paint, felt baskets and leather straps? You can check out the full Monsta white colour swatch range here to get the perfect shade for your next DIY project.